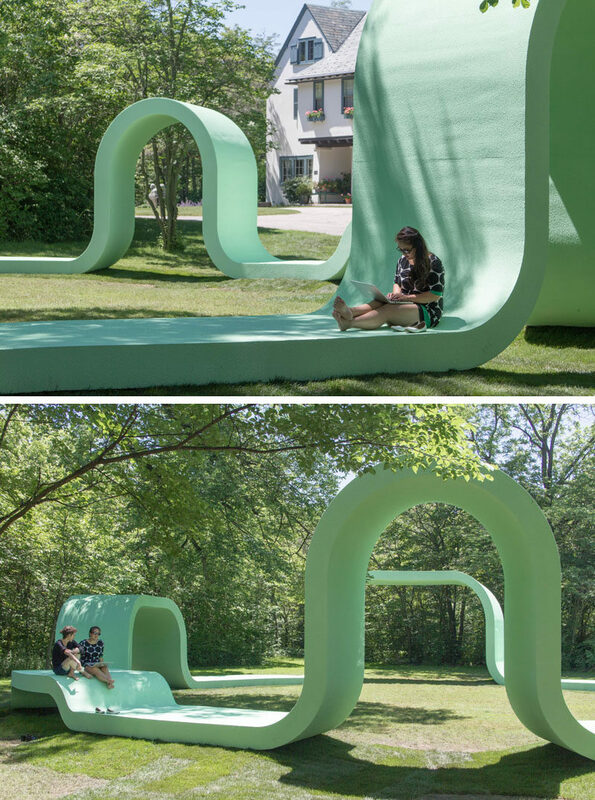 Greg Corso and Molly Hunker of New York based design firm SPORTS, have created a fun and whimsical outdoor performance pavilion in the community of Lake Forest, Illinois. 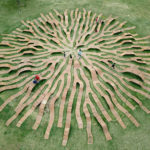 Designed for the Ragdale Foundation, an artist colony, the undulating structure took 3 weeks to build and is constructed from 48 gridded structural wedges made of 3/4”plywood. 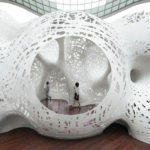 After the pieces were connected, it was covered in bendable plywood and finished with an elastomeric stucco. 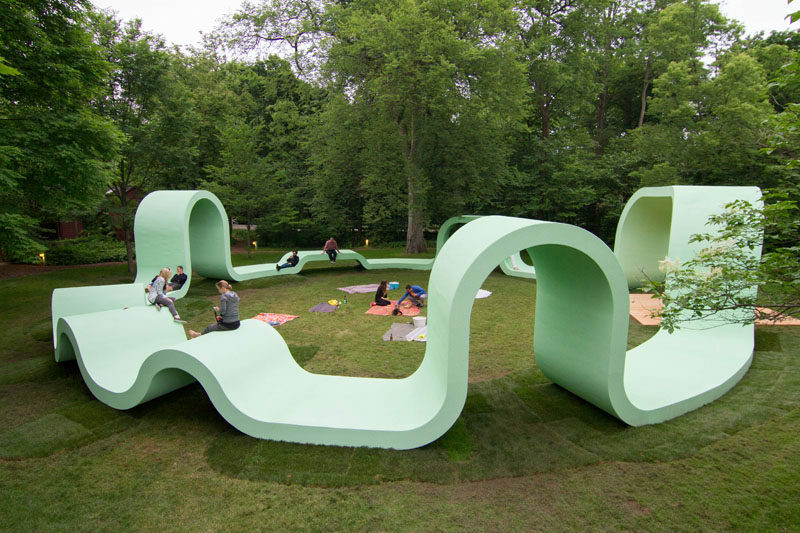 Mint green was used for the finish to provide a seamless and low contrasting appearance with the surrounding park. 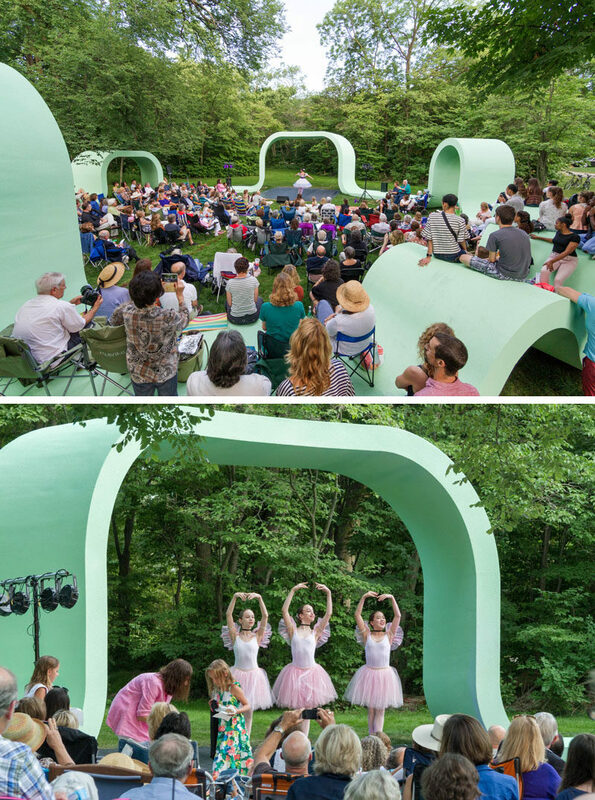 Taking inspiration from the history of theaters and when performances were done ‘in the round’, when performers would interact directly with the audience, the structure, named Rounds, provides a ring for people to sit and relax on or in. 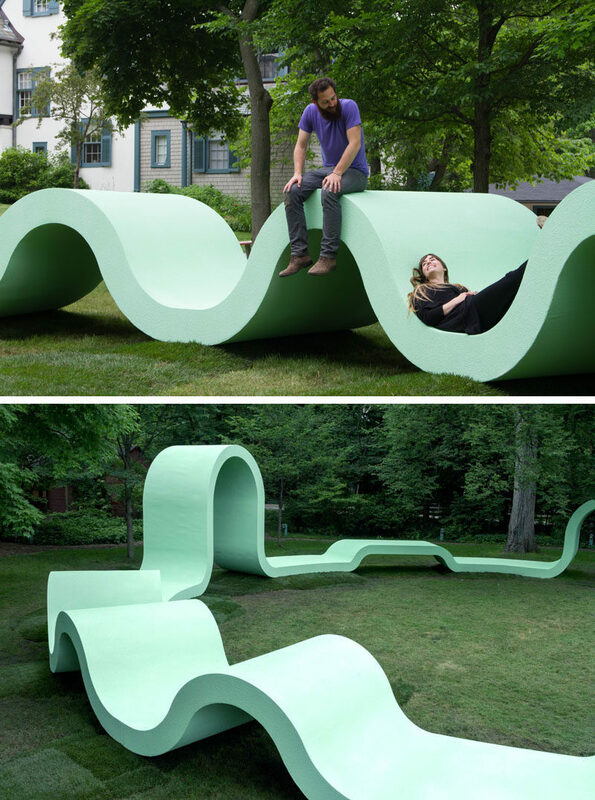 There are benches where the structure is more flat, or loungescapes where it is more curvy. 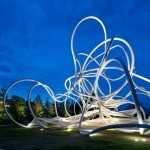 The larger loop sections are the entrances and can also be used as performance stages, letting the audience have a closer relationship with the performers. Photography by Nick Zukauskas | To see a list of all of the people that contributed to the project, visit the SPORTS website, here.